Brent's Travels: Where are people from that are following Brent's Travels? Where are people from that are following Brent's Travels? 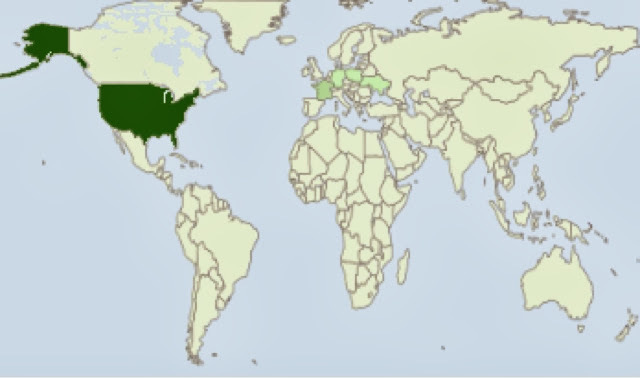 The map below shows recent Brent's Travels Blog followers from the US, France, Germany, Poland, and Ukraine. In the past I have noticed Ireland & Japan following too. At any time someone has questions about my trip, or looking for more information about places I have visited you may contact me at my macaloney@hotmail.com as it is an easy address to remember.